Although I am now a fanatic of The Voice and wish Adam Levine was my next door neighbor (I’d just ask to borrow an egg every now and then. I’m a married woman after all! ), I still have a place in my heart for American Idol. Recently when watching the show and wondering how Scotty was still on it, several different ways in which that show was like raising kids came to my mind. 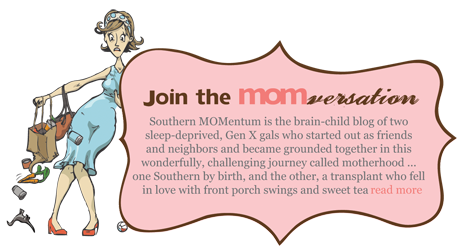 My list was then created and passed on to my friend, Stephanie, over at Southern Momentum, a fun website I have been writing for over the past year. To take a really quick trip to North Carolina to read the “Top 10 Ways Raising Kids Is Like Being On American Idol”, click HERE.